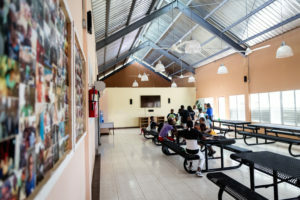 Orphaned children in the Dominican Republic face critical challenges ranging from malnutrition, homelessness and of lack of access to education. 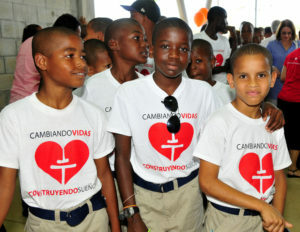 Due to Dominican Republic’s limited governmental funds, orphanages become the only opportunity to better a child’s life. 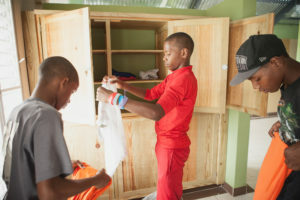 Maestro Cares Foundation’s first project was in La Romana, Dominican Republic. The dire need of assistance displayed by the youth in this area motivated the creation of Maestro Cares Foundation. Orfanato Niños de Cristo now accommodates up to 50 orphaned, abandoned or previously abused boys from 10 months to 18 years old. The campus includes dormitories, classrooms, a health clinic, a dining hall and recreational facilities. Maestro Cares Foundation continues to support this facility through educational programs, staff, therapists, recreational programs and operational expenses. 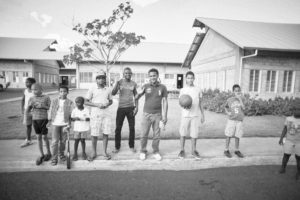 Orfanato Niños de Cristo is dedicated to improving the lives of the children, focusing on education, health and housing, as most of the children spend their entire childhood and young life in the orphanage.